After the indeterminate ending in 2008, we see the aftermath of the battle roughly 6 months later. Everyone is assumed dead or kidnapped if not present. Hssxxlllo is the only one left alive there due to still being in his smaller rabbit form. He flexes a certain way and reverts to normal. After seeing the scene, he rebuilds Barnum into a cyborg, and later finds Waiterbot still trapped under a vehicle. 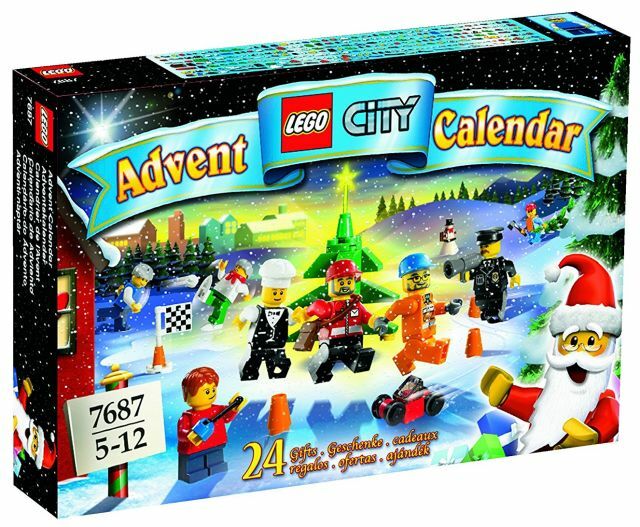 When December rolls around, the three have found a new place to live and are visited by the 2009 Santa, who doesn't explain why he didn't emerge from a box, and why there is no Playmobile calendar. Instead there will just be a Lego one, and everyone goes to open the gift. On the second day they receive a Lego Snowman, and despite Waiterbot's insistence that they don't put the final hat on, Hssxxlllo does anyway and it transforms into Mista Snowman. Since last June, Hssxxlllo has been trying to search for his friends using Knacks' old laptop, but with little success. Mista tries to help but just gets the computer infected with spyware, rendering it useless. Waiterbot again tries to steal gifts from each day, but due to the group effort retrieving the presents, it's becoming hard. Mista is also getting on his nerves and keeps singing. The Lego bit characters so far are thoroughly confused with the happenings so far. Then as they gaze at the Christmas tree, Cher's Raccoon pops out. This only encourages Hssxxlllo to resume his hunt for his friends harder, and the Raccoon starts running his own business selling Lemonade and Flowers. Uncle Milton is born but not allowed to become Waiterbot's personal slave. Waiterbot is upset but already has Officer Charles in that role. We also see some foreshadowing that James Lipton might be returning. Hssxxlllo starts feeling worse about his friends when Waiterbot rubs the failure in more, but a bottle of wine loosens Waiterbot up and gets him to apologize. One of the Calendar gifts is a set of tickets to a skate park. They decide that a road trip is needed to blow off some steam and they head out in a car that Mista Snowman somehow bought. They get to the park and meet Zack and Jet. No one really has a good time, and after a short while, they head home since they don't really trust the Lego people to run the place. Once home, they find everything relatively stable, and Hssxxlllo continues to converse via video conferencing with the Skatepark guys. They're interrupted by two new customers at the park, who end up being Hare and Claire from last year. The two have killed off everyone at the park except for Jet, and want to know where Hssxxlllo's home base is. They promise not to hurt anyone further, and counter that they are the only hope for finding out where Arcano is, and in turn their friends. Elsewhere, we see three figures in a dungeon, guarded by a coconut crab. They end up being Kuse, Knacks, and Mare, all who are desperate to find a way out. They decide to claw through the limestone, while one of them distracts the crabs. Santa shows up at Hssxxlllo's place to check in, and apparently a lot of the random Lego pieces that no one cared about, are missing. Hare and Claire keep debating on staying neutral or reverting to being evil. They are tired, but still itching to do wrong. They settle on just opening a gift early. The first is a car, but the second is a man, so they fuse him into one being. After a night of drinking and cheese, the crew tries to clean up but are interrupted by a crashing sound. Suddenly the wall behind them opens up and they see that Kuse, Knacks, and Mare were next door this whole time. After the escape, the coconut crabs appear to corner everyone. The initial attack proves futile, but Sam Preston, an earlier Lego gift, reveals that he's actually James Lipton reborn and saves the day for the third year. Santa helps with the other crab, and everyone is safe except for the threat of Arcano. Arcano pops out and wants to still create a child with Mare, this time with everyone looking. She refuses, but he admits that there is actually no need since he harvested her eggs and created two test tube babies: Death and Mr. Balloons. The appear stronger than the rest since they are a combination of Mare and Arcano's DNA. Just the Lego Santa 2009 arrives having been opened early in Hare and Claire's gift spree. He offered the two absolution from their crimes if they helped defeat Arcano, and they agreed. All the combined hand energy doesn't seem to be working, until Mista Snowman throws the ham he's hold into one of the twins. This allows him to be blasted, and then the other in turn. Arcano decides he must finish this himself, but before he can attack, the Raccoon shows up with the random parts that have gone missing throughout the month, which have now been built into a laser blasting vehicle. This ultimately defeats Arcano, and the day is saved. In the aftermath, Waiterbot finally gives James his cup/hat from 2008, and Knacks is missing Cher. They intend to go out looking for them next year.